Sept 2017: CEO MENA at Ogilvy & Mather. Chief Digital Officer EMEA at Ogilvy & Mather. Nuytemans is a rarity in many ways. She is a woman leading a business organization in the Middle East, as well as having had a long career almost exclusive at one single agency, Ogilvy Group. A native of Belgium, she began her career with OgilvyOne Brussels as an account director after graduating from business school with a masters in management. After two years, she took a brief detour into the client side, as direct and online communications manager at Microsoft Benelux, but returned to Ogilvy in 1998. She moved through several jobs within Ogilvy for the next 20 years, moving to New York, Cape Town and back to Brussels, where in 2007 she founded an engagement marketing consultancy, Engageting. 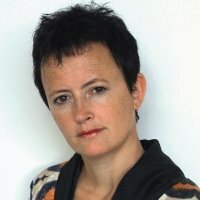 In 2009, Nuytemans was named Chief Digital Officer EMEA and in the following years, she oversaw a digital transformation of Ogilvy Group in the region, led the rollout of the Brussels Center of Excellence, and completed the acquisition of agency Social.Lab to create the Ogilvy & Social Lab Belgium. In the fall of 2017, Nuytemans was appointed to follow Edmond Moutran, the founder of Memac Ogilvy in Dubai, as CEO of the agency while retaining her responsibilities as Chief Digital Officer for EMEA. She moved to Dubai from where she oversees operations in 14 countries across the Middle East – a client list that includes Coca-Cola, American Express, and IBM. Sept 2017: President of LiveXLive Media. Former Chief Digital Officer at Ticketmaster/Live Nation. Schuon enjoyed a long career in a diverse variety of electronic media before he becoming a digital Chief. As a teen in high school, he already had a DJ slot on rock station KOZZ-FM. At KISW-FM Seattle Andy became the youngest major market radio personality in America, and he was later branded “Boy Wonder” by the trades as the youngest radio station Program Director in the country. In 1989 he was hired by CBS Radio’s Mel Karmazin to turn around recently acquired KROQ-FM in Los Angeles, bringing it from 13th to #1 in 18-34 in under 18 months, and added Loveline with Dr. Drew to the evening lineup. In 1992 he moved to cable TV as EVP of Programming and Production at Viacom during the salad days of MTV, where he launched TRL and the MTV2 channel, and made key talent hires including Carson Daly, Kennedy, Matt Pinfield, Dr. Drew, Adam Carola, and Jenny McCarthy. In 1998, he moved to the music industry, where became EVP and GM at Warner Bros. Records, with artists including Madonna, Red Hot Chili Peppers, Cher, and Wilco. Schuon pivoted to digital in 1999, when he partnered with Universal Chairman Doug Morris and Interscope Chairman Jimmy Iovine to start farmclub .com, a project to launch an integrated music website, TV show, and record company. In 2001, he moved on to another Universal Music Group unit, Pressplay, a streaming and downloading joint venture with Sony Music that would be renamed Napster after the acquisition by Roxio. In 2009, after other top jobs in radio and TV, Schuon was named Chief Digital Officer and President of Artist Services at event promoter Live Nation Entertainment. In his new position, he was charged with managing all of Live Nation’s digital assets, including acquisitions of Frontline and Ticketmaster. He returned to television in 2011, joining Sean “Diddy” Combs to launch Revolt Cable and Media, a music-focused cable channel. In 2016, he joined another group of TV execs to launch Every Day Networks, a digital TV platform focused on over-the-top streaming channels, where he served as CEO. In September 2017, Schuon joined as President of streaming platform LiveXLive media, where he is charged with integrating a number of recently acquired streaming and social media companies to deliver a best-in-class entertainment platform. Andy previously made the CDO Club Hall of Fame after joining the Boards of Hot Topic Stores (NASDAQ: HOTT) and Cinedigm Corp. (NASDAQ: CIDM). August 2017: CEO of NHS Digital. Former Chief Digital, Data and Technology Officer at UK Home Office. 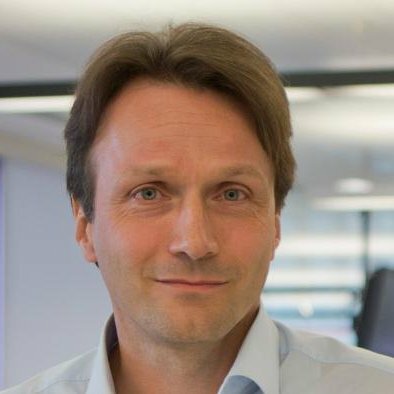 Britain’s National Health Service (NHS) has faced a number of digital challenges recently, so when it named its new CEO for NHS Digital—the unit that provides information, data, and IT for health and social services nationwide—it found a digital expert from the financial services sector with strong government connections. As Chief Information Officer for the Home Office, Wilkinson had responsibility for all technology services for counter-terrorism, border security, visas and immigration, asylum, and police. Wilkinson had spent 23 years working in financial services, holding CIO roles at Credit Suisse, UBS, Deutsche Bank, and Lehman Brothers, as well as various IT positions at those organizations earlier in her career. Wilkinson had a full plate at the Home office, overseeing a merger of digital and technology staffs, and now has another challenge: use technology and data to create a paperless healthcare system by 2020. For her tremendous contributions, the CDO Club named her U.K. Chief Digital Officer of the Year 2017. August 2017: President of Condé Nast International. Former Chief Digital Officer at Condé Nast International. When Nicholas Coleridge downshifted into semi-retirement at Condé Nast International, Blau was tapped to replace him at the helm of the publishing unit. At the time, the announcement noted his origin story in journalism before he became a digital leader. Blau began his career as a radio reporter in his native Germany before moving to the San Francisco area at the turn of the Millennium, as a freelancer for German radio and newspapers. After riding the early online revolution in the Bay area, he returned to Germany in 2008 as editor of the news website Zeit Online. Blau relocated to London in 2013 to become Executive Director of Digital Strategy at Guardian News and Media, and in 2015 made the move to Condé Nast. As Chief Digital Officer, he was charged with oversight for publications including Vogue, Wired, and Vanity Fair across Asia, Europe and Latin America. June 2017: CEO and President of Blue Nile. Former Chief Digital Officer at Target. Goldberger came up through the retail industry at Federated Department Stores and as a buyer at QVC and Linens’nThings. In 1999 he made the switch to online in the early days of Amazon, managing several retail categories as the company expanded. He went on to work for furniture e-tailer Hayneedle .com (now part of Walmart), and the upscale designer flash-sale site Gilt .com. In January 2013 he became Chief Digital Officer and President of target .com, battling both his former colleagues at Amazon and Walmart .com. In 2016 he was appointed as the first Chief Digital Officer at Target, but later in the year, the company reorganized the online unit and Goldberger left. Shortly after, he was recruited by the new owners of Blue Nile. After the online jeweler went private, the investors behind the purchase sought a new CEO. Goldberger had the right mix of digital and retail experience to help the e-commerce pioneer fight off new competition. June 2017: CEO of Mindshare FAST (Future Adaptive Specialist Team). Global Chief Digital Officer at Mindshare. Norm Johnston’s professional career started in 1988 wiith with Andersen Consulting. In 1995, he joined one of the early digital shops, Modem Media, which revolutionized the advertising industry by placing the first banner ad on the Internet. In 1997, he moved to London – “an American dork in bad khakis and an even worse haircut,” he recalled to an interviewer – to open Modem Media’s first international office. 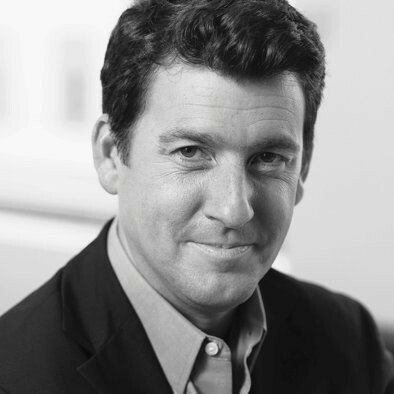 Over the next decade, he rose to become President of Modem Media/Digitas (now Digitas LBi) in Europe. From his base in London, Johnston was charged with merging the operations of Modem Media and Digitas in Europe, and overseeing European clients and operations. 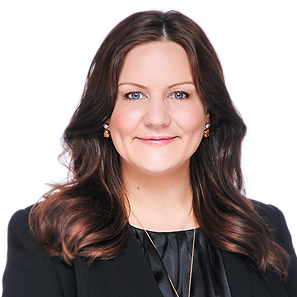 In 2007, Johnston joined Mindshare Interaction, the media agency’s digital specialist group, as CEO for EMEA. Two years later, he became Chief Digital Officer for Mindshar,e and later added the role of Global Chief Digital and Strategy Officer. In May 2017, Mindshare reorganized to place the FAST team at the center of its operations, and Johnston assumed leadership of the unit, while continuing as Chief Digital Officer. April 2017: CEO at Dentsu Aegis Network Philippines. Former Chief Digital Officer at ABS-CBN Corporation. Lim, considered one of the pioneers of Philippine digital marketing, is also an avid multitasker. Besides an MBA and a PhD in business administration, he also has diplomas in interior decorating and hotel and restaurant management, and continues to run five businesses of his own, along with his responsibilities as country CEO of Dentsu Aegis Network in the Philippines. Lim spent part of his early career on the client side, as VP of Marketing at Burger King in the Philippines. 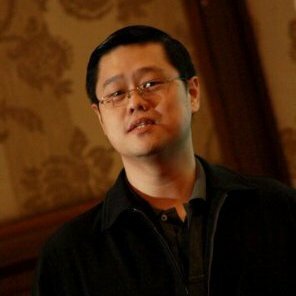 In 2008, Lim was CEO of Yehey, which operated the search engine yehey .com when it merged with the Havas digital network Media Contacts to form a joint venture in Philippines; Lim became CEO of the combined company. In 2010 he left to become Managing Director of digital agency MRM Worldwide Manila, and Chief Innovation Officer of parent McCann WorldGroup in the Philippines, where he stayed until joining ABS-CBN Broadcasting Corp. in 2013 as its Chief Digital Officer to lead a digital transformation at the diversified media company. In spring of 2017, when Dentsu Aegis announced CEO Angelito Pangilinan, would step into the role of Chairman, Lim was appointed to take his place, tasked with continuing the digital expansion of the agency. April 2017: CEO at Carat APAC. Former Chief Digital Officer. Walsh began his career in Ireland, but has spent most of his time in the Asia-Pacific region, working in digital media. 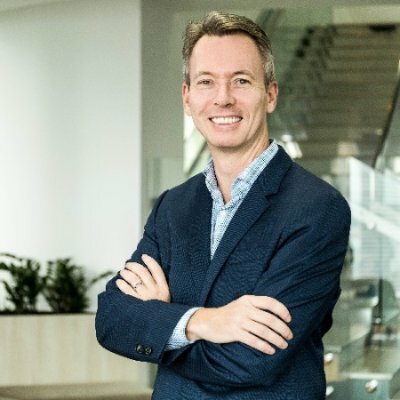 After graduating with a business degree, he began his career as a media planner with Zenith Media in Dublin in 1994, then moved MediaCom Australia in 1998 to head the agency’s media group. He stayed in Sydney working at several media agencies over the next decade, first moving to agency NetX as Media Director in 2000, then becoming Executive Media Director of WPP Group’s Neo@Ogilvy in 2006. 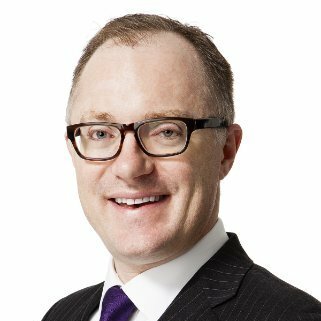 In 2010 he joined iProspect Australia as Managing Director, as the Aegis Media agency expanded into the Asia-Pacific region. He moved to Singapore a year later to become Managing Director-APAC of iProspect Singapore, and has remained based there since. In 2014 parent company Dentsu Aegis appointed him as Chief Digital Officer-APAC of Carat, charged with boosting the agency’s digital footprint in the region, then in 2016 made him Managing Director of Carat APAC, charged with expanding data-driven services. In 2017, Walsh was promoted to CEO of Carat APAC. 19. Vineet Gupta. April 2017: Chief Executive of DDB Mudra Group. Former Chief Digital Officer at DDB Mudra. After an early career in online sales and marketing at Microsoft Corp.’s Digital Advertising Solutions in India, Gupta co-founded 22feet Communications, a Bangalore-based digital marketing agency dedicated to digital strategy and web and mobile design, in 2010. In 2014 the agency was acquired by Omnicom Group and merged into the Omnicom digital shop Tribal Worldwide India. Gupta, who was Managing Partner of 22feet, became Managing Director of the post-merger company, 22feet Tribal Worldwide, and charged with growth initiatives. 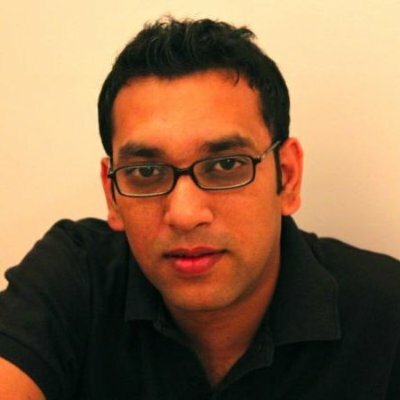 In 2016, he became Chief Digital Officer at parent company DDB Mudra Group. When the Group CEO, Madhukar Kamath, decided to retire in early 2017, he tapped Gupta as his successor; and Vineet began the transition to his new position in April 2017. March 2017: President of Southwest Media Group. Former Chief Digital Officer. Schaefer began his career in TV sales and audience research, later pivoting to marketing and technology. After college, he began his media career as an Account Executive for a group of TV stations in North Carolina, rising to Director of Research and Marketing Alliances before moving to a rival NBC station group as Marketing and Research Manager in 1999. As TV struggled with the early days of the Internet, Schaefer first became Director of Interactive Services and New Media for the station group in 2000, and rose through the business development ranks before leaving the station group in 2005 to join another station group owned by Media General as TV Sales Manager. In 2007, Media General tapped Schaefer to become Director of Sales and Business Development at its subsidiary BlockDot, a maker of mobile and social “advergames,” and in 2010 promoted him again to President of its NetInformer unit, a provider of interactive mobile marketing and content delivery services. 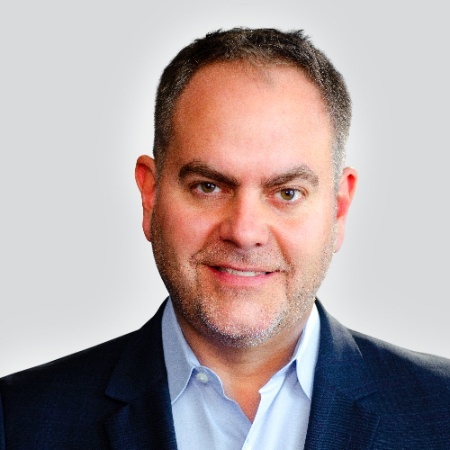 Schaefer left Media General in 2012 to join Belo Corp. as General Manager of ScreenShot Digital, a subsidiary focused on metrics and analytics, to help local marketers measure digital advertising across social, mobile, and online video channels. 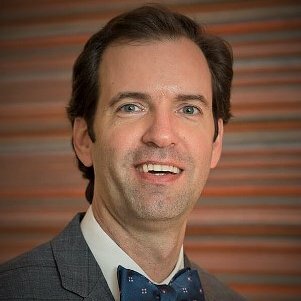 After Gannett acquired Belo in late 2013, Schaefer joined the media agency Southwest Media as Head of Digital Strategy, tasked with growing its data-driven buying practice. This led to Schaefer’s appointment in 2016 as Chief Digital Officer and President of Programmatic Republic, a subsidiary providing data-driven digital media planning. The agency grew 60% during his tenure, leading to his promotion to President in early 2017.